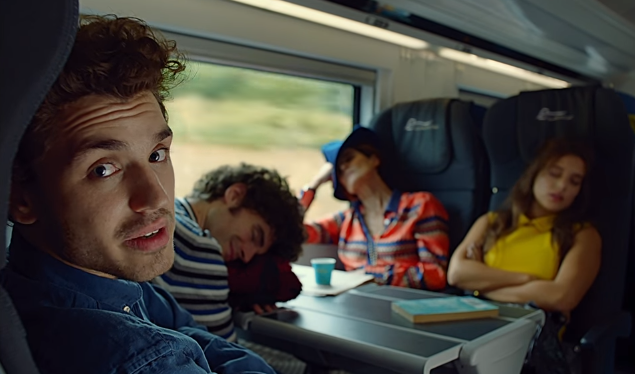 Eurostar has launched a new pan-European campaign called ‘Travel State of Mind’, introducing a philosophy of life that encourages opening up to new experiences. The campaign, which features a new TV ad and consumer platform, was created by production company Somesuch. The campaign is the first work by Somesuch, and aims to show that the 'Travel State of Mind' comes to us all when we are in the right mindset, and Eurostar offers the best environment in which to achieve it. Inspired by the visual style of New Wave cinema and films such as ‘Zazie dans le Métro', the TV ad is a playful, witty, colourful take on travel and how it can make you and your life better. The film is directed by the multi-award-winning Kim Gehrig and lensed by acclaimed cinematographer Robbie Ryan (I Daniel Blake, American Honey, Catch Me Daddy). It follows a seasoned young traveller and his fellow adventurers as they go through their day experiencing new things. In the voiceover, the young traveller shares his travel state of mind philosophy, urging viewers to “pack small, live big”, “ask a local, not your phone”, and to “say yes, and see what happens”. The cinematic film is shot in 4:3, the aspect ratio used in the early days of motion pictures, which gives it its distinct New Wave look. The 60-second and 30-second versions of the ad will launch in the UK on Monday, February 20th, and will roll out in France and Belgium in March. The ad will run on national TV, VOD, YouTube and Facebook, and on the Eurostar website. The campaign will also be rolled out across Eurostar social channels, including a new Facebook canvas to allow consumers to create their own 'Travel State of Mind' as they explore the brand's photos, videos and tips for visiting Eurostar destinations. Guillemette Jacob, Head of Marketing & Brand, Eurostar said: "With our new campaign and creative platform we are hoping to inspire people to open up their ‘Travel State of Mind’ and remind them that when they embrace this attitude, the world is a more open, interesting and rewarding place. We have loved working with Somesuch and are inspired by the creative and insightful approach the team there has taken to our brand."